The Packaging: I did not like the packaging at all. 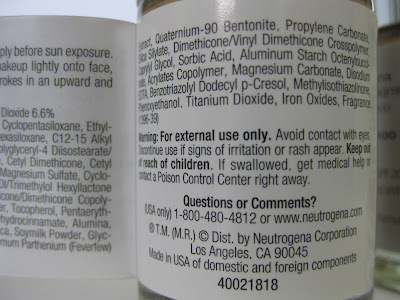 The foundation comes in a glass bottle (not good for traveling or clumsy people like me) and contains no pump. If you're pouring the liquid onto your brush or sponge, it can be really messy as you can easily pour too much. I have very dry skin and on top of that, I have eczema which means I am super dry all year round. My usual "problem areas" are my forehead, around my eyes, my upper lip, along my cheekbones, and my lips. My forehead is a lot darker than the rest of my face -about 2 or 3 shades darker. I've always had this problem since I was a kid. My forehead just tans a lot more easily than my face. Other than that, the rest of my face is pretty even. I have light "veins" along my cheeks going towards my lips. They're not that noticeable unless you look closely. The foundation gave medium coverage but I think I may need something with heavier coverage for my "forehead problem." Also, the foundation looked cakey in areas where I was especially dry and enhanced my dry patches and sunk into my forehead lines (I'm really dry there.) Really , the only positive note was that it contains SPF 20. 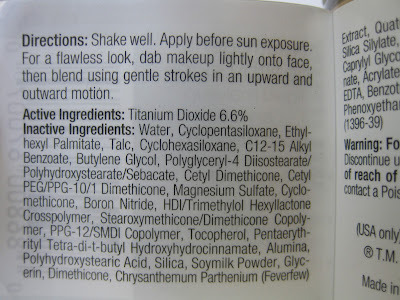 For me personally, this foundation just really sucked. I'm sure it would work great for others who do not have the problems that I have but honestly, my skin looks 10 times better without the foundation. I have pretty even skin without acne (maybe once every 2 months) so this just makes me look a lot worse -especially due to how gray and dull it makes my forehead look. BEWARE: Scary Looking Photos Below!! 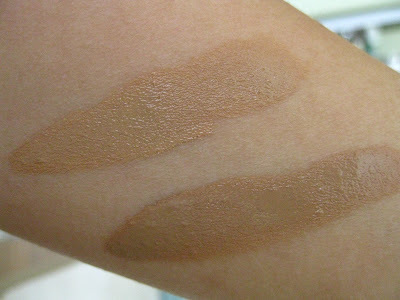 The arrows represent all the areas where the foundation made my skin look extra dry. It looked so awkward on my forehead!! Especially where my hairline is because it's so much lighter than my actual forehead "color." 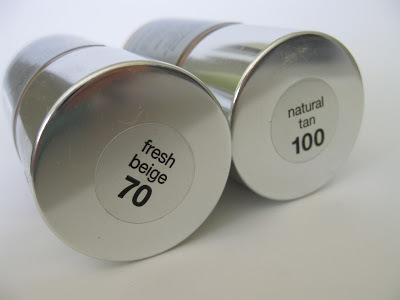 Also, my face looks lighter than my neck because the SPF makes the foundation appear much lighter in flash photos. The Color: Fresh Beige was a pretty good match for my face (excluding my forehead) and blended in nicely. I do wish that they had more options though because the color selection is sort of small. Overall: Again, this didn't work for me but it MAY work for you. Be sure to read about my particular skin issues and if you're the opposite of me, this could work really well for you. I was a little generous and gave the "product grade" a C- even though it's more like a D+ for me. The grade is based on my own experience with the foundation but will vary depending on what skin type you have. For instance, I saw Ariel review this and it looks and works great for her but for me, not so much. I would still recommend trying it because of this reason but for me, it was an absolute no no. I experienced this graying effect too, people told me it was because of the SPF. It was not a dupe at all of nars sheer glow in my opinion. 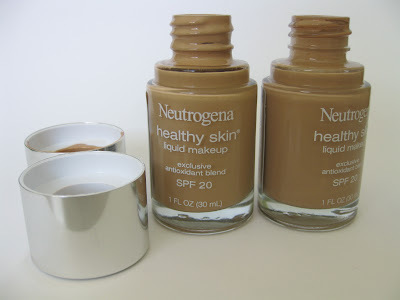 I really like this foundation, but thats probably because I have okay skin as is. Never tried the NARS but kind of want to just to compare! I've tried Neutrogena foundations before and it was a terrible experience. It reeked of a chemical smell and broke me out like no other. I'd love to see drugstores put better ingredients into their products, but all I see is price increases. That's my personal opinion on drugstore products in general since I've been burned so many times. What drugstore primer do you recommend? 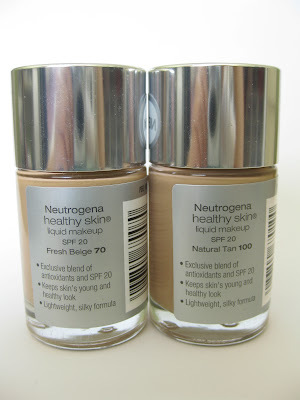 yeah i heard that neutrogena didn't make very good foundations ): but i've never gotten to try them because i'm in canada. BTW - i e-mailed you about the giveaway! (my e-mails is luckysttar@gmail.com) if you've gotten my e-mail let me know! 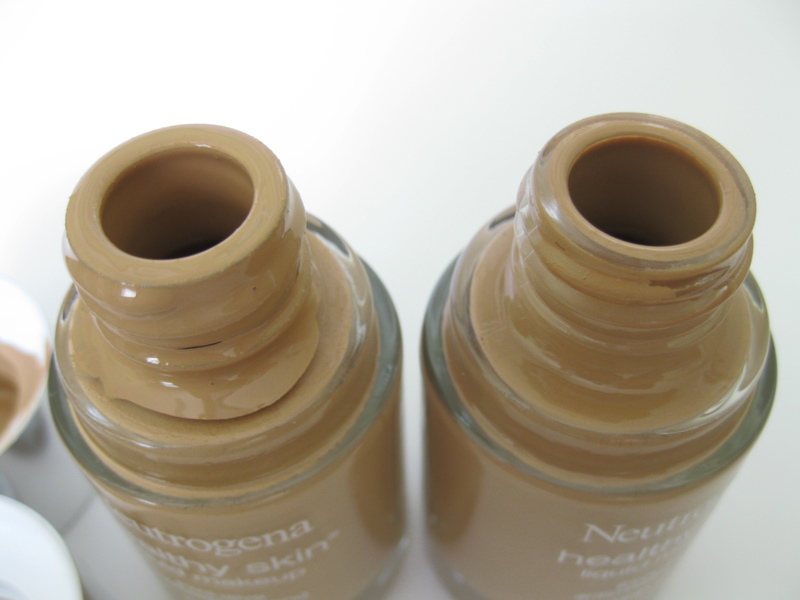 I find the shades in this foundation very confusing. I had waaay too much trouble finding my shade. @ Chic Geek.. I'm so glad you had a better experience than I did with this foundation! Yea I think it could work well on people who have pretty even, good skin. @ Kristie.. I rarely read ingredients (I know, horrible! I really should..) but I've tried some other Neutrogena foundations/face products in the past and none of them worked for me. Then again, it could be because of my skin type and whatnot. I agree with the whole price increase thing though ..if you're gonna raise the prices, why not improve the product right? @ Renay Shanel.. You're welcome. =) If you decide to buy it, I really hope it works for you! @ Anonymous.. 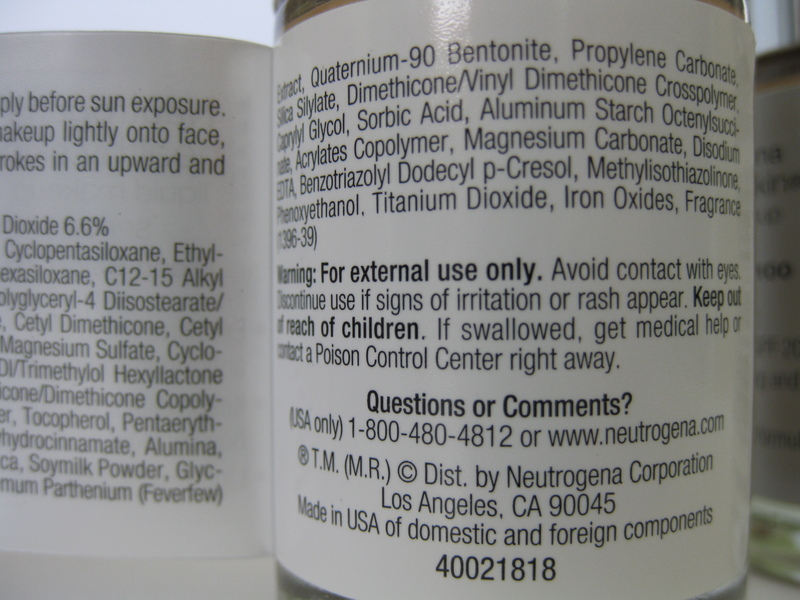 I've actually never used a drugstore primer before but I do like Make Up For Ever's HD Primer. They sell a travel size tube for $15 and I'm guessing it's around the size of a drugstore primer. I've also tried Smashbox Photofinish which I like -but I'm not sure I'd recommend it for oily skin. Remember, you can always get samples at Sephora too before you buy! Sorry I can't really recommend any drugstore primers but I've honestly never tried one. @ PoorCollegeStudent.. I did too but I just ended up guessing. 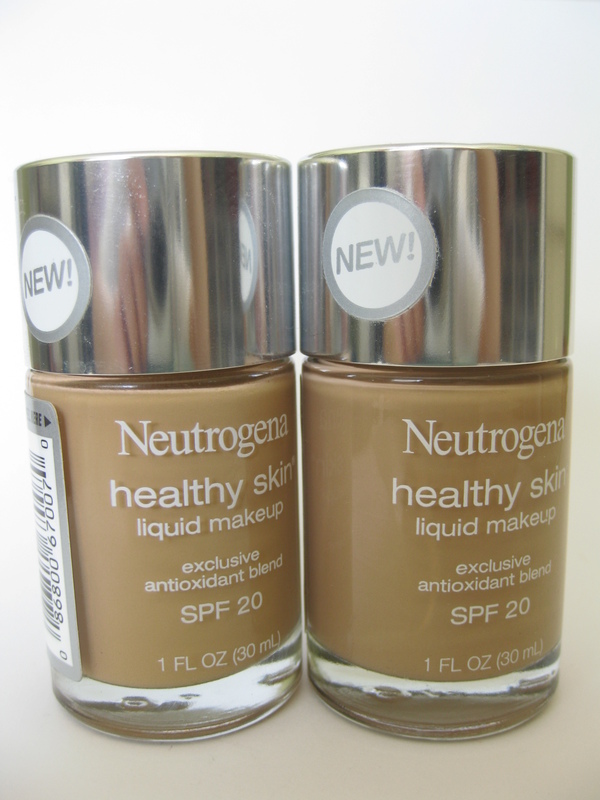 =P I wish drugstores had testers -at least for their foundations! I have this in fresh beige, this was the closest shade to match me but it gives me that gray effect too. I have to contour and add bronzer for it to not really show. I still like NARS better. NARS Stromboli & Barcelona matches me better too. Aww.. that's too bad. =( NOBODY wants to walk around with a gray forehead! I like NARS Sheer Glow too but I can't find a shade that matches me!